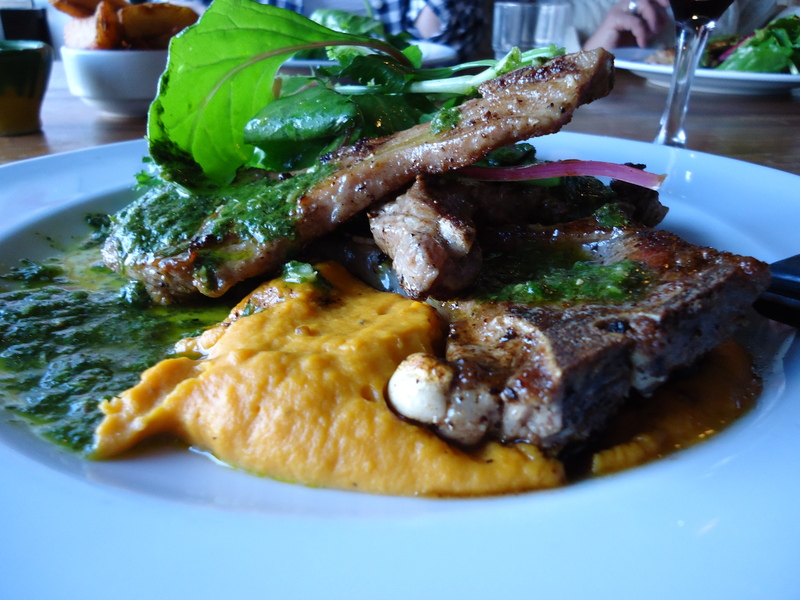 I decided it would be fun (for me AND you) to write about my two favorite meals from our Ireland trip for Pt. 2 and Pt. 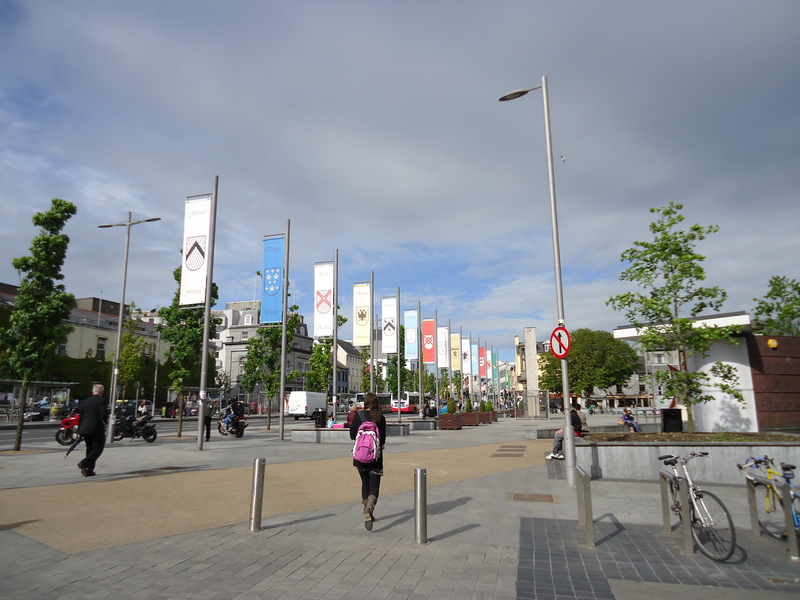 3 of my Ireland posts. These meals are proof of the new gourmet food in Ireland; it’s not just soda bread and fish & chips anymore! 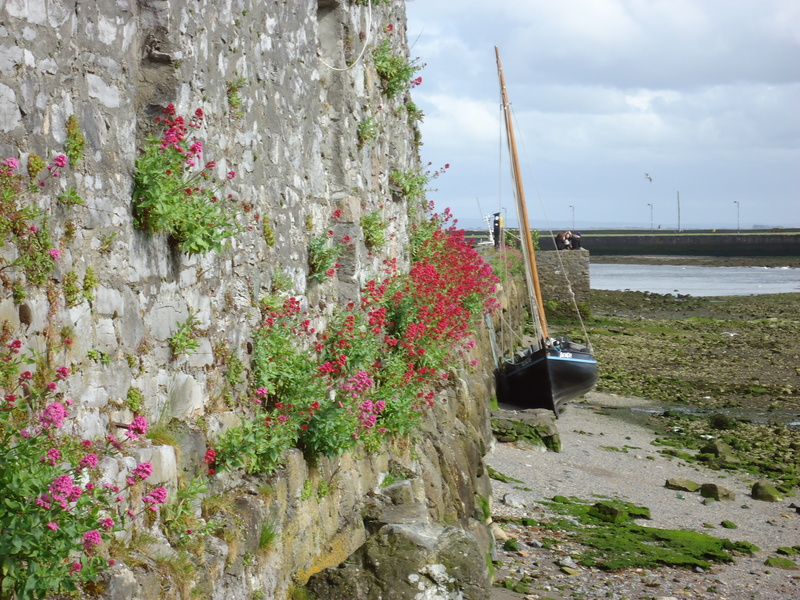 I loved the entire trip but my favorite city was definitely Galway with it’s colorful shops and proximity to the water. 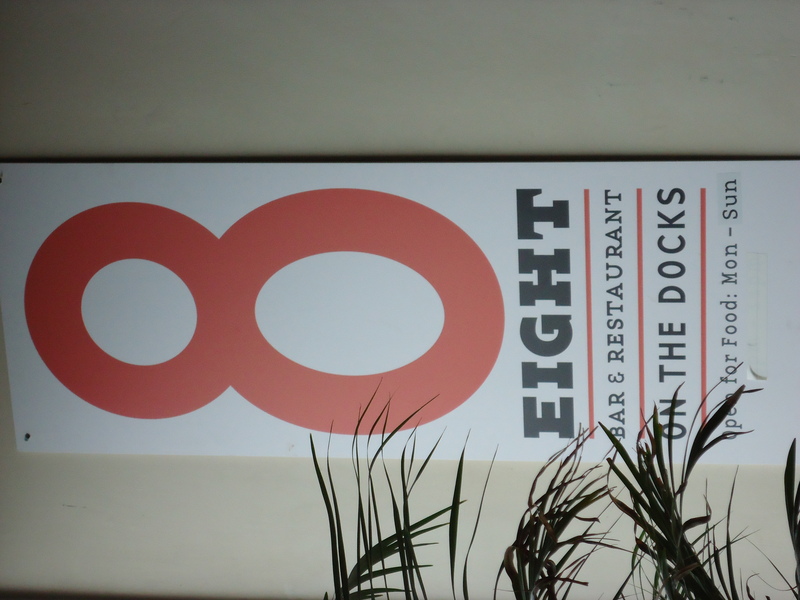 The best meal during our trip was at a restaurant called 8. 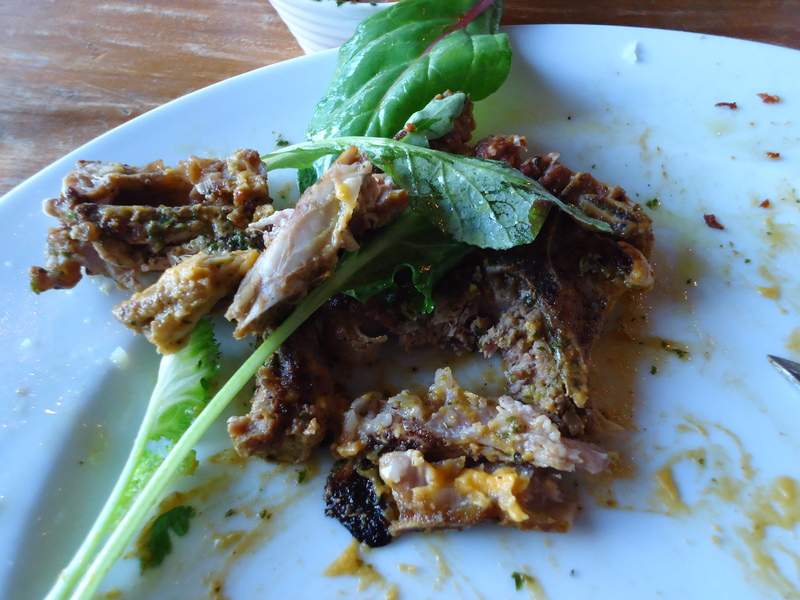 This restaurant uses local ingredients and it was downright difficult to make up my mind on the dinner entree. Thank goodness we’re a sharing family and all of us picked different options to taste. We also ordered a side of these hand cut chips and house sauce. They were perfectly golden, a little crisp on the outside, and slightly soft on the inside. 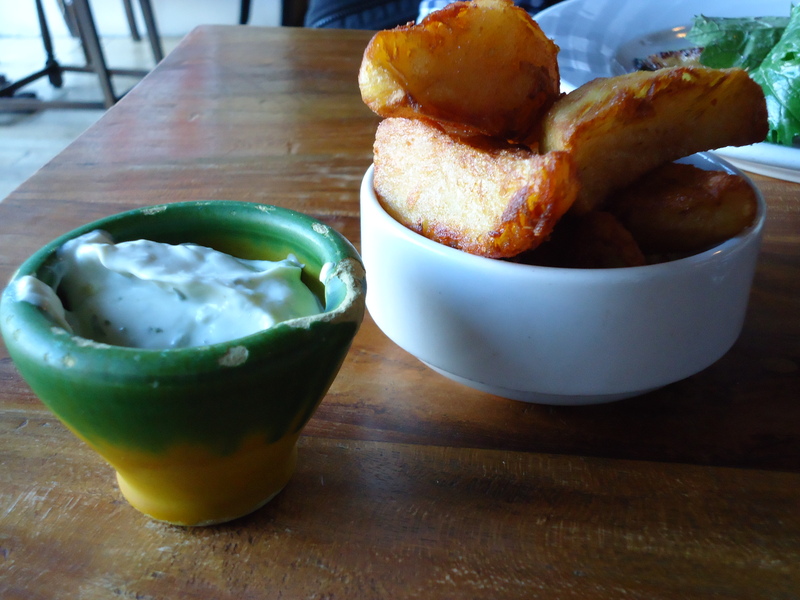 The sauce tasted a bit like tzatziki, a yogurt-based dip with dill and cucumber. After dinner we noticed the creative and whimsical dessert menu. My Dad and I are not ones to pass up dessert. In fact, we both eat less of our main meal (sometimes) just to save room! We are nothing if not dedicated to our craft. In any case, we decided to order 3 desserts for the 4 of us. 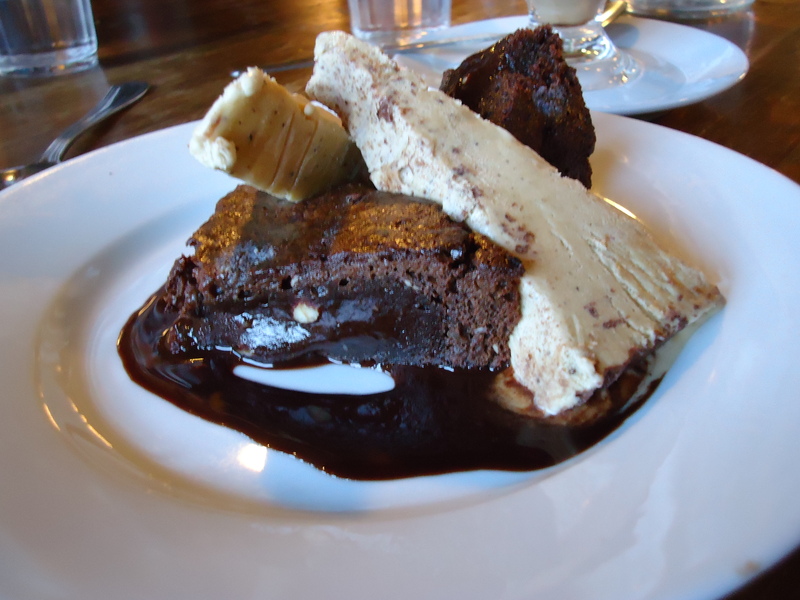 My Dad wisely picked the Chocolate and Almond Brownie with Cappuccino Parfait. This dessert won the blue ribbon out of all of the desserts and we licked the plate clean. My Mom and Sis split the potted Citrus Explosion with Almond Brittle. 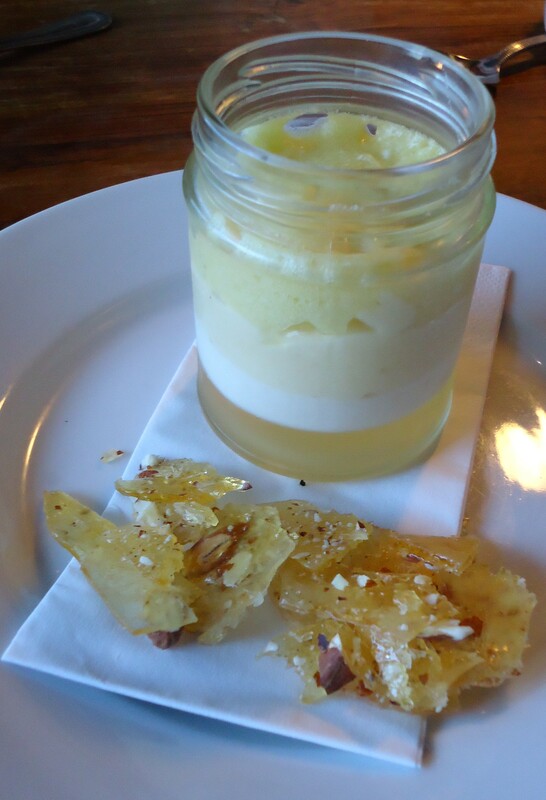 There were 3 different citrus flavors layered throughout the jar and even the brittle included the zest. I like lemon, I love lime, but citrus desserts are usually at the bottom of my list. WOW, talk about a flavorful and bright dessert. It was light and lovely. I can’t wait to try and make my own take on lemon and orange zest brittle. 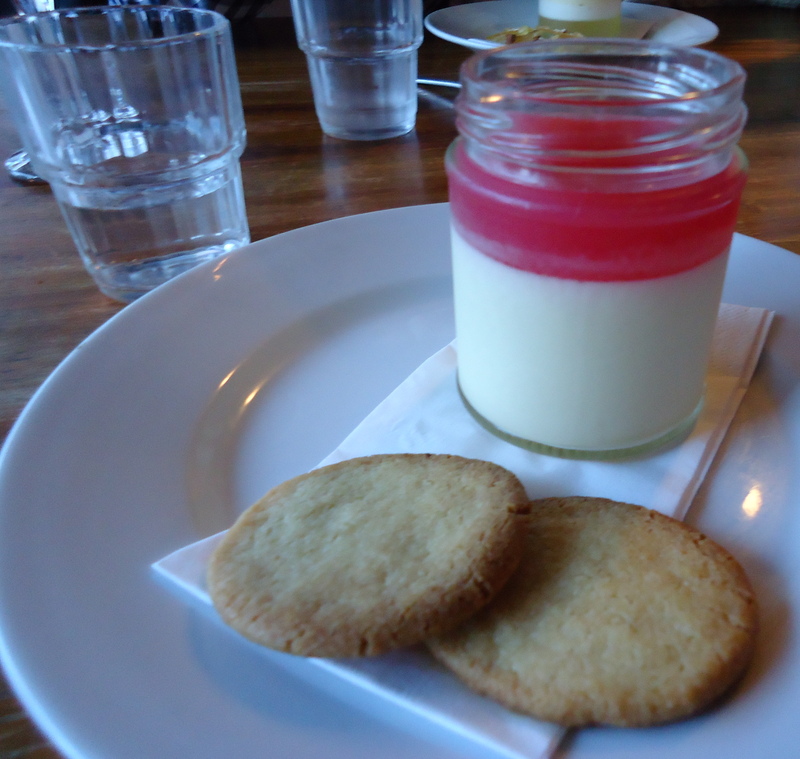 Last and kinda least was my dessert, a White Chocolate Pannacotta & Raspberry Mousse with Shortbread Cookies. I selected this dessert solely because of the raspberry component. It was very pretty to look at and the texture was nice. I found the whole thing to be a bit underwhelming and frankly a little bland. Thank goodness I had already consumed 2 other winning desserts! Overall I would rate 8 as a 10! 5 out of 5 stars. Seriously, I give it an A+ and would probably be a regular if it weren’t for the whole commute and customs bit. If you are ever in Galway make it a point to stop here. 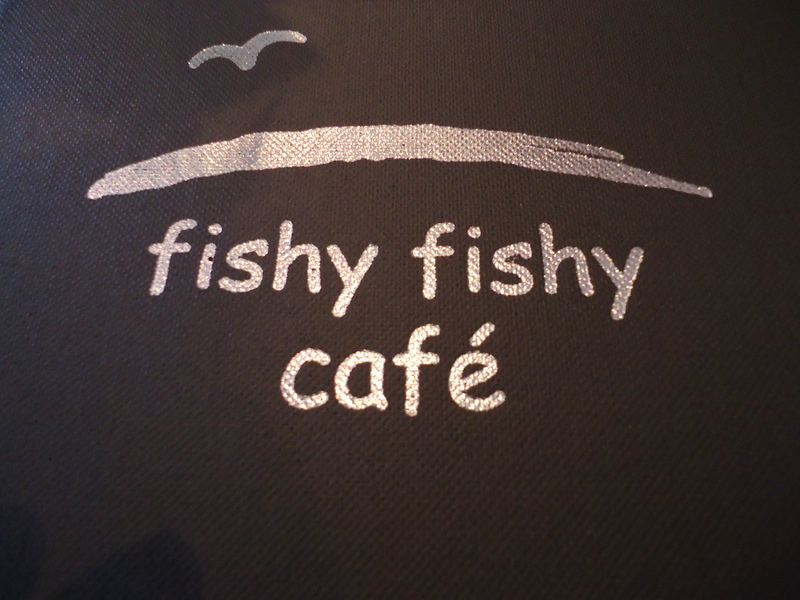 Stay tuned for my 3rd and final post about Fishy Fishy in Kinsale. It was seafood paradise!